Note: This is part of my newsletter that I sent to my subscribers on 18th of September, 2015. If you are interested to receive such newsletters please subscribe now at the bottom of this page. And it should be in profit now. Please close it if your plan was to trade Intraday (day trade). 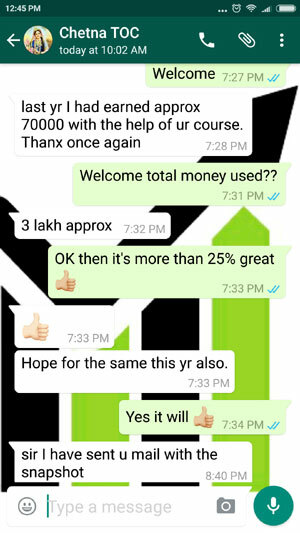 Now for people who have taken my option trading course. VIX may fall further, up to 17 or something. 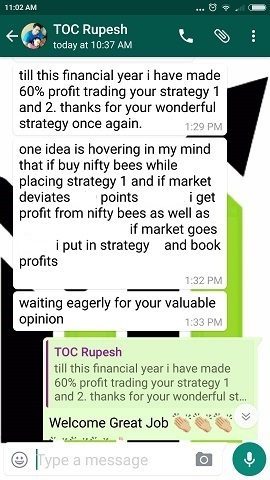 Since still we cannot say stability has come I would suggest trade strategy 1 only as I believe non-directional is best right now as tomorrow, that is on Monday, people will not know what to trade. 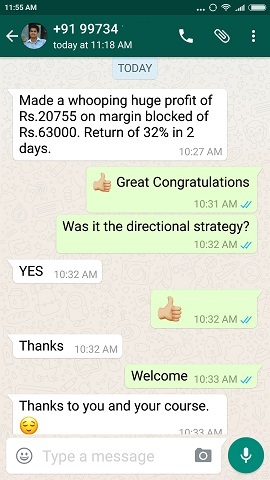 When there is no trade for few days its always best to trade the non-directional trade. 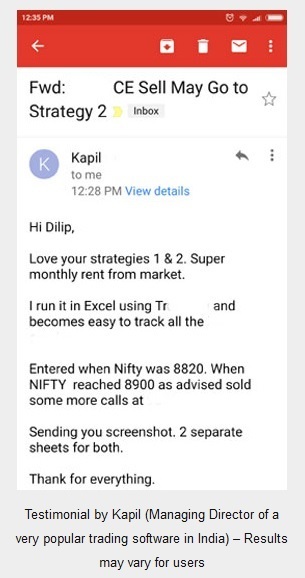 If you want to be aggressive you can directly trade strategy 2 but on the PUT side with more lots and Call side with less lots. There are a lot of other trades we took this month. Almost all of them are in profits, including the mutual fund one, the Put Credit Spread and ICICI Bank – hope you remember. Will send another email later which will cover all those. As you can see, slow and steady will always win – hurry to make money and you fall face down first. Hope you are learning as am I.